This paper uses the MIT Global Shakespeares Video and Performance Archive, user-created online resources such as YouTube, Wikipedia and Google Images, as well as recent scholarly work on Hamlet to explore aspects of the Ryutopia Company’s 2007 production of Hamlet (Japan, 2007) that are illuminated when juxtaposed with the images and video records of the artistic and performative traditions that inform the production including Noh theater, puppet theater (gidayu joruri) and other forms. The paper argues that the most important of these for understanding the production are the performance practices associated with the recitation of the Heike monogatari, the epic narrative of the fall of the Taira clan, by blind “lute-priests” beginning in the 14th century. The Ryutopia Hamlet everywhere evokes this tradition — through Hamlet’s dress, seated position, and tonsure, by the recasting of the First Player’s narrative on the death of Priam and the Fall of Troy as a lute recitation, and by the repetition of the speech at the end of the production — but never exactly reproduces it, so that the Heike (and with it the parallels between Japan’s central epic of loss and the Troy material in Hamlet) becomes a literally haunting presence in this production. Such a re-centering of Hamlet around the Troy narrative comes at a time when major work on Shakespeare’s Troy by Heather James, on the First Player’s speech by Gail Paster, and on the multiple historical schemes by which the Troy narrative connects Hamlet to the trope of the fall of empire by Margreta de Grazia is redirecting attention to the epic dimensions of the play. The task of the performance archive lies in fostering a mode of inquiry that considers performances in comparative contexts. With a survey of the present state of the Shakespeare performance studies and a case study of MIT Global Shakespeares, an open-access digital archive, this paper makes the case for the full integration of digital video and global performance into Shakespeare studies. The digital archive and tools are useful because they are efficient and, in many cases, the only tools to transcend the journalistic mode of performance scholarship. Therefore, the field of Shakespeare in performance stands to gain from archival stability and the repertoire of embodied cultural history. A performance video archive with vetted contents and open-access platform can become both the archive and the repertoire. Archiving the otherwise ephemeral history of performance is an important goal, but even more important are the new research questions such archives enable. Digital recordings can never replace face-to-face theater, but they can serve scholarship and teaching, help us resist the tendency to replicate author-centered textuality in performance criticism, and amplify the kinds of two way flows and complex repositionings that make Shakespeare so compelling in our time. Colonialism was the primary catalytic agent in the four hundred year old relationship between India and Britain and the paper focuses on the literary, performative and critical languages that came in its wake with Shakespeare at their centre. It argues that while the English language is the most abiding legacy of colonialism in India, it did not establish itself without a struggle and that political hegemony along with deflections of it by the Indians was an inalienable part of its development. 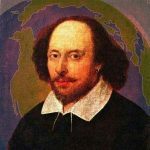 Indians took to the study of English literature and the performance of Shakespeare enthusiastically and were known for readily quoting Shakespeare on all occasions. This penchant for speaking with Shakespeare, however, in the context of the nineteenth century elocutionary movement, became a means for the colonial subject to wrest the creative force of public speaking and performance for their own purposes. Translations of Shakespeare (1852 onwards) spread this enthusiasm further and the indirect influence of Shakespearean dramaturgy is to be found in the subsequent dramatic output of every Indian language. Translation also provided a covert means of resistance: since criticism of the colonial regime on stage was prohibited, subversive turns of phrase or dialogue were interpolated in the translations of Shakespeare. Modern Indian theatre developed entirely on the Western model and the performative languages of the box-stage, illusionism and realism were another pervasive influence via colonialism and Shakespeare. The Parsi Theatre, the first such, performed Shakespeare but hybridized into a melodramatic and spectacular mode. On the other hand the plays were also simultaneously appropriated into the indigenous theatrical forms reviving the very practices that the promotion of English was designed to undermine. The third and most transformative language was the critical reading practice of English Studies which was imported and the ‘profit’ of which has stayed on. While it defines the professionalism of the discipline, it creates dilemmas for postcolonial academics who are caught between the demands of the Western academy which often run counter to their local positioning.